The solution to world hunger is under our feet. This story is part of What Happens Next, our complete guide to understanding the future. Read more predictions about the Future of Food. Originally published October 3, 2018 on Quartz. The answer is to lovingly tend one of the earth’s greatest and oldest resources: our soil. Soil is the complex, beautiful community of organic matter, microbes, fungi, and nutrients that interact with the animals and crops that dwell upon and within it. Those plants and animals—our food—can only provide nutrition to us if they are able to derive nutrition from soil. Far from a generic substance, soil is in fact a highly specialized platform on which healthy food is built. Nothing else comes close. 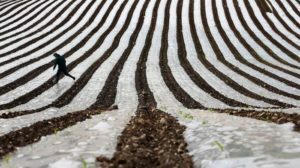 Industrial or “conventional” agriculture—the form that dominates our food production system—takes a sum-of-its-parts approach and contends that soil can keep giving and giving without being replenished. We’ve already begun to see the harm that those practices bring to the planet and to us. Industrial agriculture is aleading contributor to climate change, diminishes plant and animal biodiversity, leads to erosion and the poisoning of waterways, kills pollinators, and destroys both soil and human microbiota in ways we are only beginning to understand. Regenerative agriculture, by contrast, is the practice of growing food in harmony with nature. This philosophy starts with soil and is centered around tending that soil with care, not only to produce healthy and delicious food today, but to guarantee survival of the Earth as we know it. A whole universe of domesticated and wild animals, plants, insects, and microbes that make up our planet rely on healthy soil—and so do we. This is the solution we need to the endless list of ills and shortcomings embedded in our current food system. In today’s world of lab-cultured meat, soil is too often considered just another generic substance in which food can be grown. We have inherited this understanding of soil through decades of diminishing it. Intensive agricultural systems demand an unbreakable focus on crop yields. This has led to monocultures grown at a massive scale and supported by chemicals that attempt to deliver some semblance of fertility in the face of year-over-year extractive commodity production. This approach reduces soil to a bare equation: dirt plus whatever elements we can dump onto it for even larger yields. As we strip more and more from the soil every year, there is an ever-increasing need for more synthetic inputs. Healthy soil’s benefits to us don’t stop at food production. For example, soil has the capacity to sequester huge amounts of carbon. Rather than contributing to climate change as it is now, agriculture should be helping us fight it. Healthy soil is also a sponge that holds rainwater, preventing erosion and runoff that damage waterways. 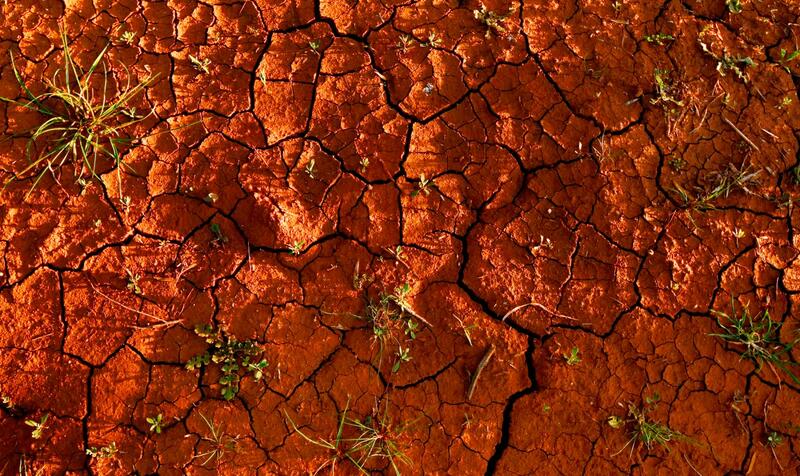 This limits the need for energy-intensive irrigation and mitigates the impact of droughts. And then there are the health effects: Agricultural systems built in healthy soil do not require chemical inputs that can make their way up the food chain, and medical professionals are beginning to document the significant connections between soil health and human health. As Liberty Hyde Bailey, one of the first deans of agriculture, passionately argued, we should regard nature as a sacred force worthy of our awe rather than something to dominate. Healthy soil is the great “fix” for the food system that we should all be chasing. When we look to Nature and her practices for growth and healing—the oldest blueprint we have for agriculture—the path to a sustainable future becomes clear.